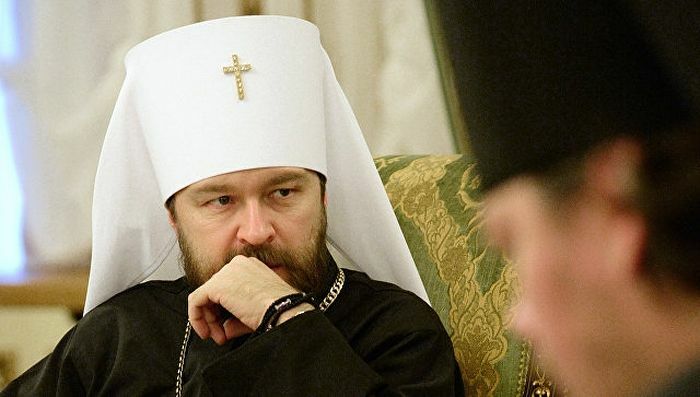 The Russian Orthodox Church (ROC) will not react to the Crete Council documents that have been published online, and will wait until the official documents are received for examination, said Chairman of the Department for External Church Relations (DECR) of the Moscow Patriarchate Metropolitan Hilarion of Volokolamsk to RIA-Novosti. On July 15 the ROC Holy Synod recognized the Crete Council as an important Church event noting that it nevertheless cannot be considered as a Pan-Orthodox Council. That is why ROC did not recognize the pan-Orthodox status of the documents adopted by the Crete Council and it was decided to hand them over to the Synodal Biblical and Theological Commission. “We only saw the text [of the documents adopted by the Council – ed.] on the internet. We will definitely not react to internet-publications officially,” the metropolitan said. He specified that ROC needs to “first receive and then to study them”. Primates of ten of fifteen Local Orthodox Churches took part in the Council that was held in June in Crete under the chairmanship of Patriarch Bartholomew of Constantinople. The Russian, Antiochian, Bulgarian and Georgian Churches whose representatives did not come to the Council did not agree with its regulations and the preparation procedure along with the texts of a number of its documents. However, the Crete forum participants proposed to make it a permanent Orthodox body and to hold its meetings on a regular basis. This entry was posted in Featured News, News and tagged Crete Council, Georgian Churches, Local Orthodox Churches, Patriarch Bartholomew, ROC by Orthodoxy Cognate PAGE. Bookmark the permalink. – through promotion of highly idealised concept of marriage as a norm, the role of oikonomia principle concerning marriages and family life grows.